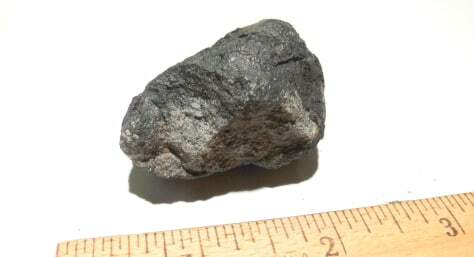 This rock, found in a backyard in Novato, Calif., was initially thought to be a meteorite deposited by an Oct. 17 meteor. Then meteorite expert Peter Jenniskens decided it was a "meteor-wrong" of earthly origin. Now he says closer inspection supports the meteorite claim.